Ford has been America’s most dependable domestic vehicle make for over a century. 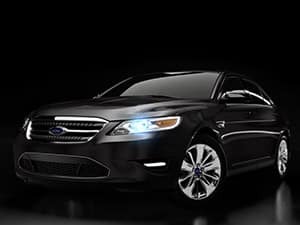 Drivers have long trusted the Ford, Lincoln, and Mercury brands to keep them safe on the road. Our years of full-service expertise and continual development we’ve become a go-to specialist for a variety of vehicle makes. Beyond the superior standards with which your specific vehicle was manufactured, our specialists provide preventive maintenance services that can extend your Ford, Lincoln, or Mercury’s road-life. Our team knows how to keep you current on your vehicle’s service intervals, and to provide the necessary services to preserve your engine. USA Automotive in Raleigh, NC makes sure you avoid costly vehicle breakdowns which can lead to you being stranded on the side of the road. We believe in no surprises for our customers. You always get the quality performance from your Ford, Lincoln, or Mercury that you expect. And we always charge you the most reasonable and affordable prices. We’ll continue to perform thorough inspections and accurate diagnoses to let you know if there are any issues that need our attention. 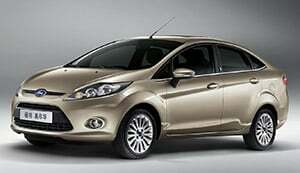 Ford Repairs & Maintenance Services You Can Trust! We know how to perform all the preventive maintenance services that help you avoid costly repairs. Our team of ASE Certified technicians are focused on protecting your vehicle from early breakdown. Even with a diligent maintenance schedule, there will be an occasional repair need for your car. 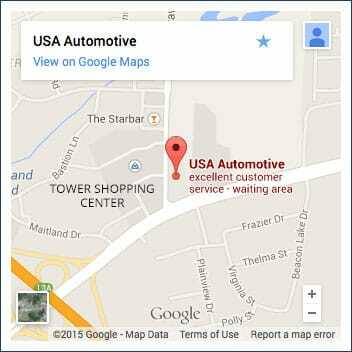 You should seek the assistance of USA Automotive because our team is highly trained and experienced. We want you to know that we’re able to handle any of your repairs, from bumper to bumper. We are your full-service auto repair specialists for all makes and models of Fords, Mercurys, and Lincolns. If you’re driving one of these makes, our techs are well-trained and prepared to provide you the same service expertise you’d find at the dealership. At USA Automotive, you won’t be just another number. We give our customers the personalized care and attention that can identify any potential problem and fix it before it can malfunction. Our quality repair services include brake system repairs, transmission service & replacement, emission repairs, wheel alignment, air conditioning service, oil changes, and much more. Schedule Your Ford Repair Services! Contact our top quality team for exceptional repairs and maintenance services. We’re the best alternative in the Raleigh area for any Ford, Mercury, or Lincoln repairs or maintenance. Give us a call at 919-249-5295 to schedule any of your Ford repair services. You can go ahead and schedule your appointment right now since you’re already online. Feel free to pick a time and day that works best for you and our team will meet you then! If you’re in need of Ford repair in the Raleigh area, give us a call at (919) 249-5295, schedule an appointment online, or stop by today. We’re excited to show you why USA Automotive remains drivers’ first choice for all of their automotive needs.